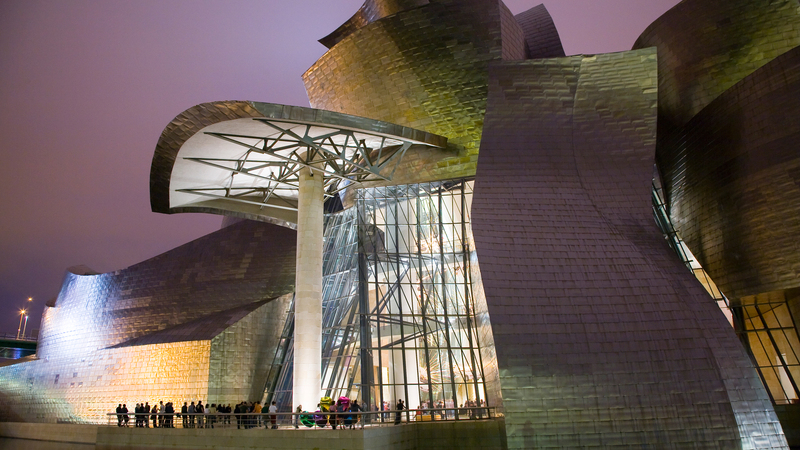 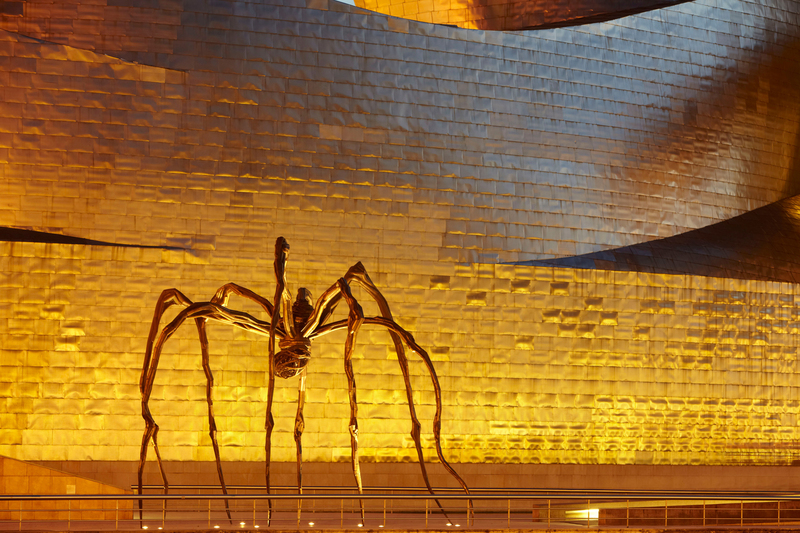 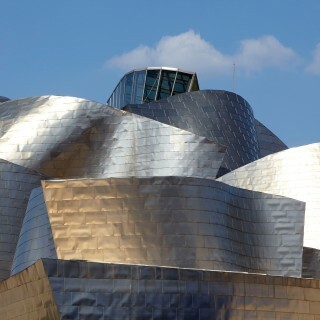 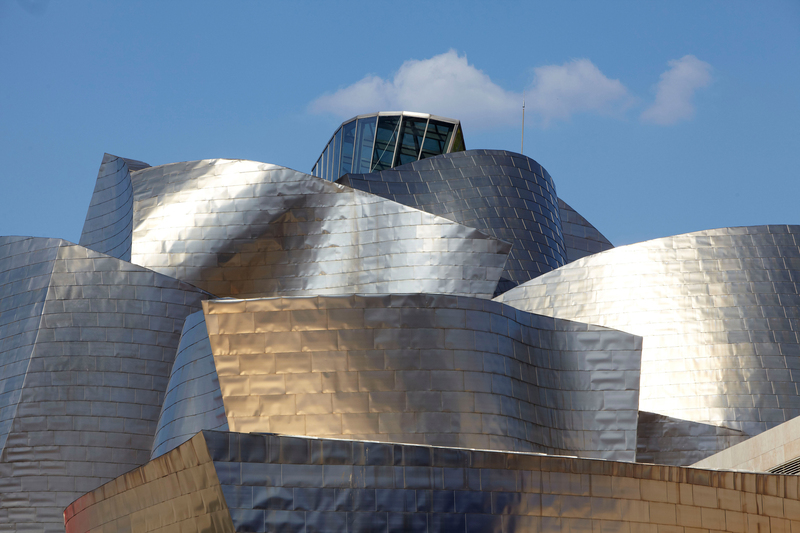 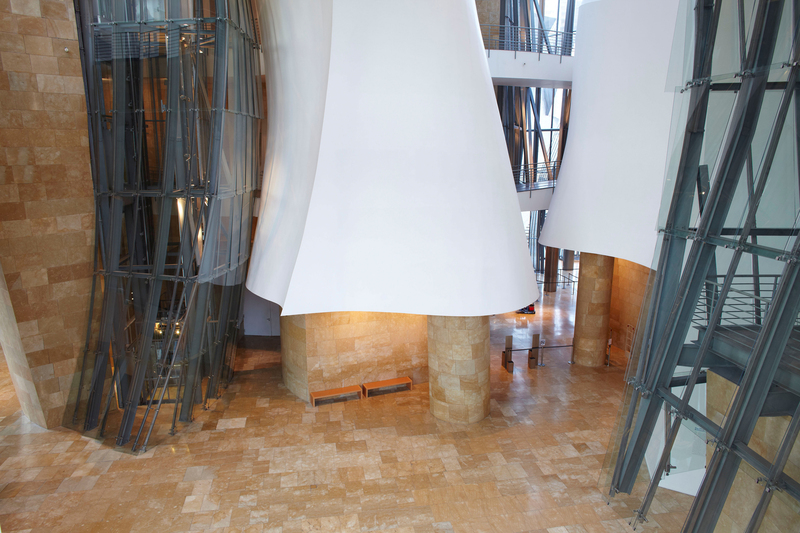 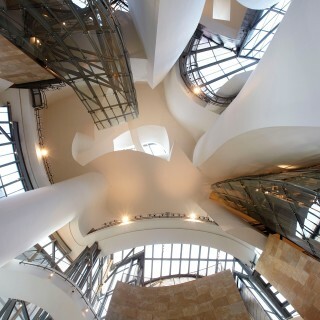 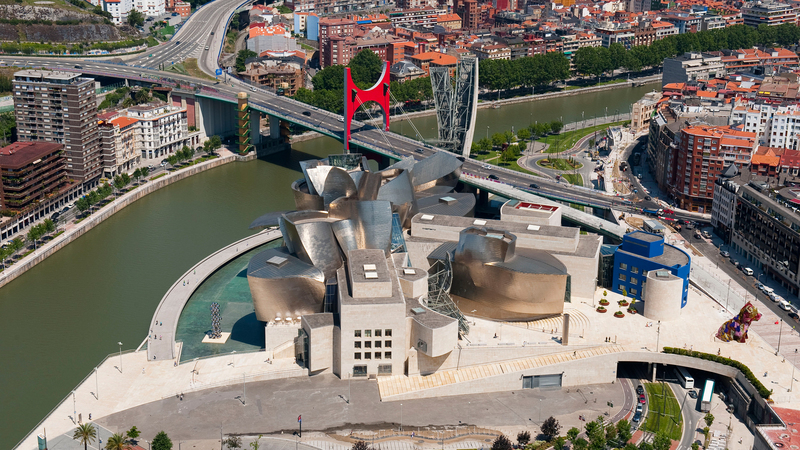 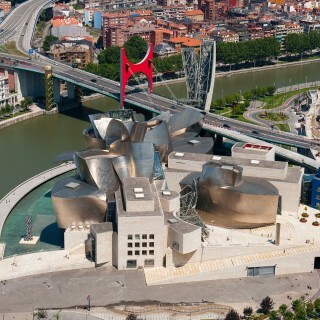 When renowned architect Philip Johnson visited the Museum with his friend, Frank Gehry, he was so impressed he stated that the Guggenheim Bilbao was the most important building of our era. 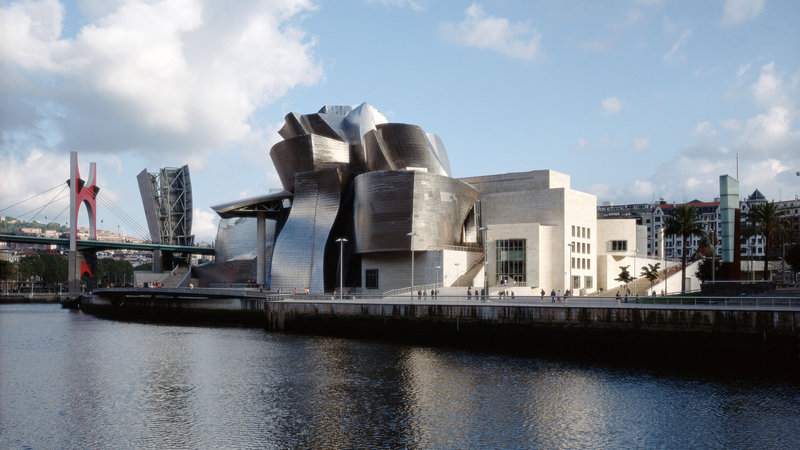 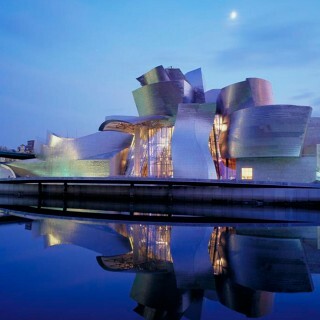 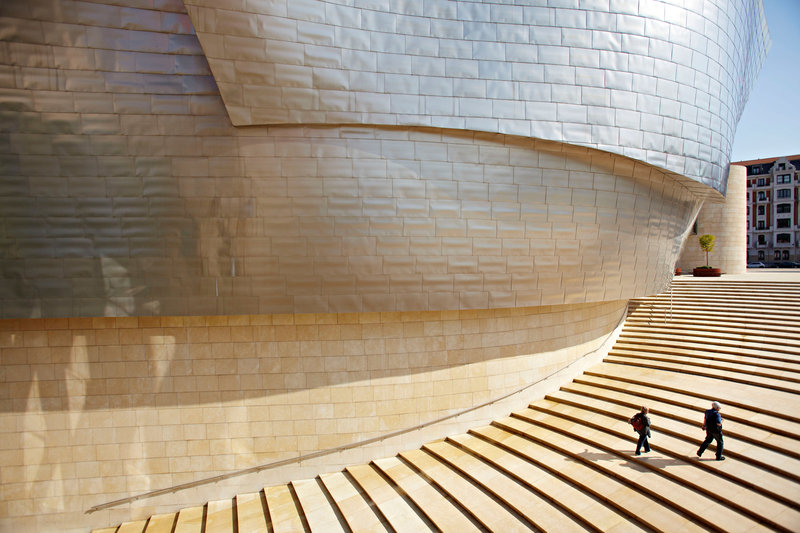 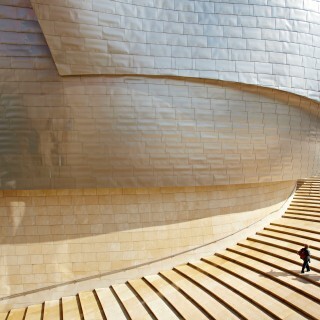 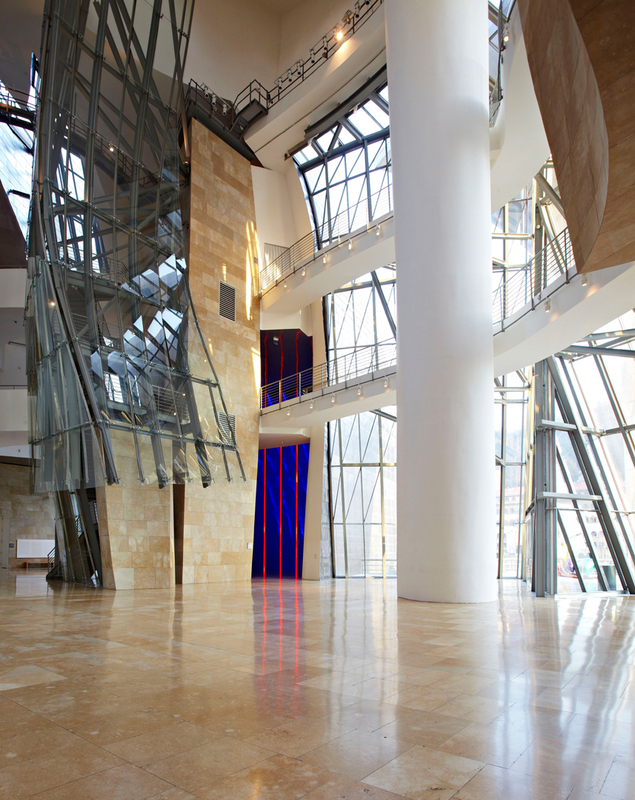 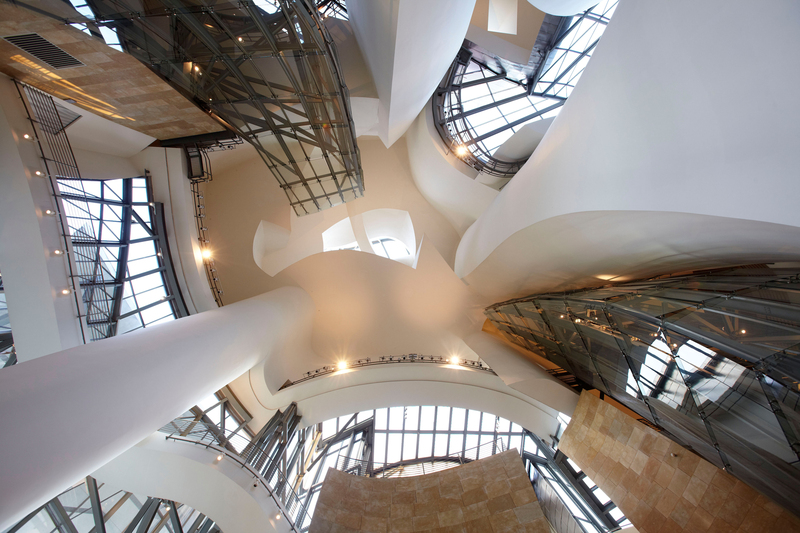 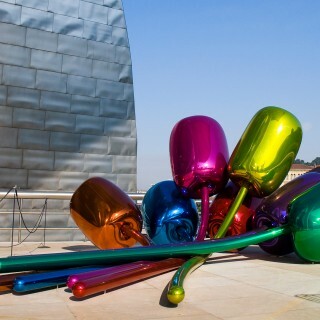 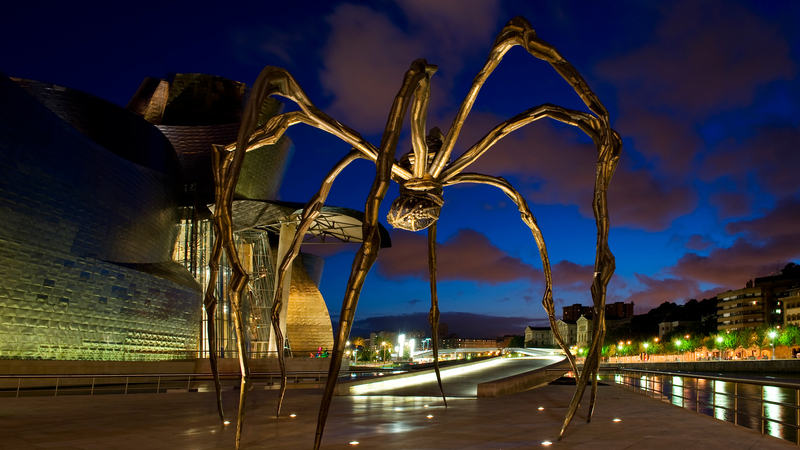 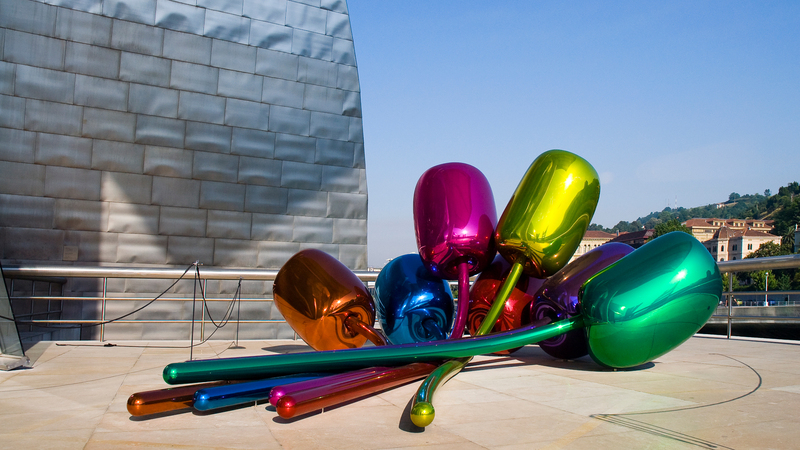 The Guggenheim Museum Bilbao is the result of an unprecedented partnership between the Basque Administrations and the Solomon R. Guggenheim Foundation based on the complementary nature of their interests and resources. 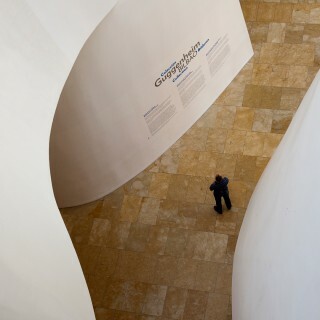 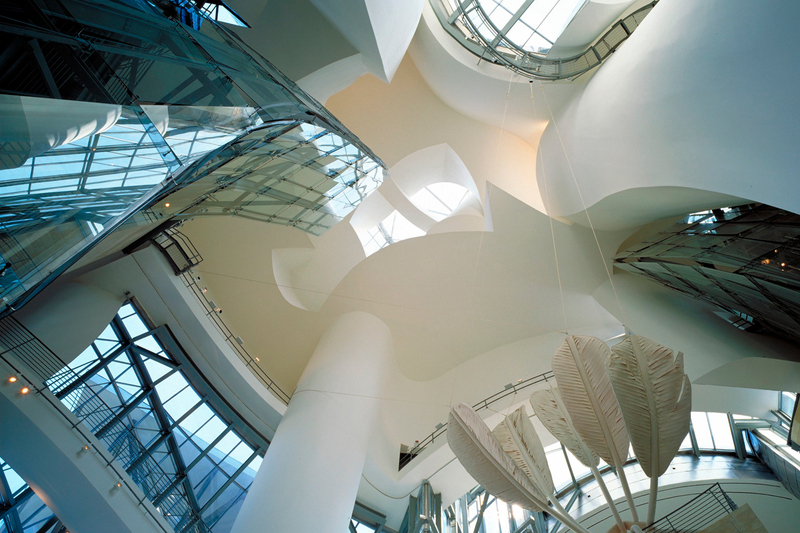 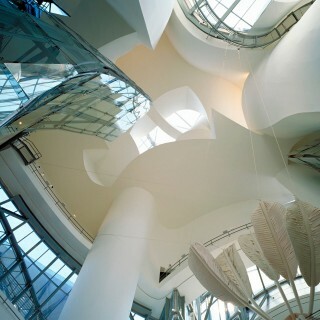 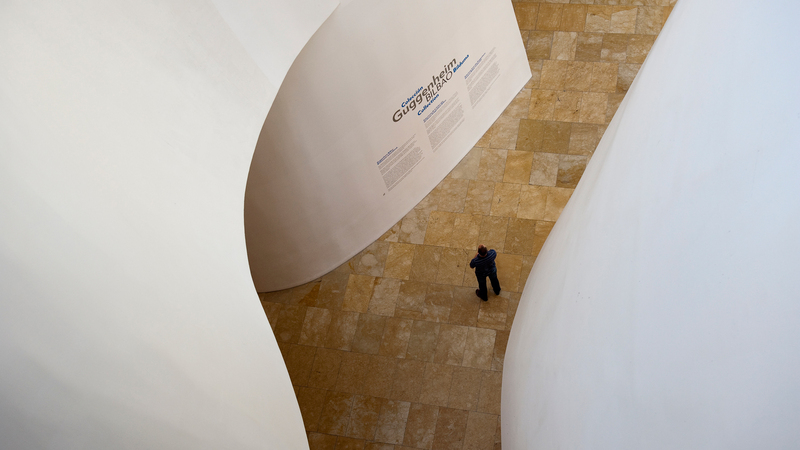 Since its very inception the Museum was created to serve not only artistic objectives but other goals connected to urban regeneration and economic revitalization. 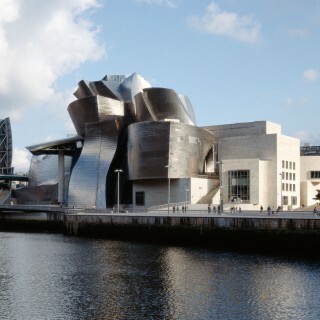 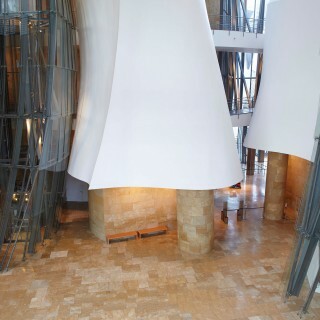 The project also endowed the museum and the city with a building that would be hailed as a unique architectural masterpiece of our time, an icon easily recognizable abroad, and a symbol of Basque cultural and economic vitality. 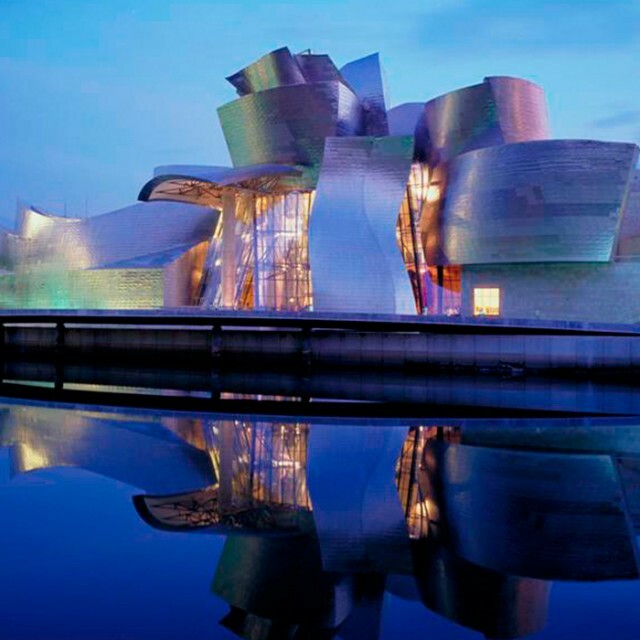 Designed by American architect Frank Gehry, the Guggenheim Museum Bilbao building represents an extraordinary example of the most groundbreaking 20th-century architecture. 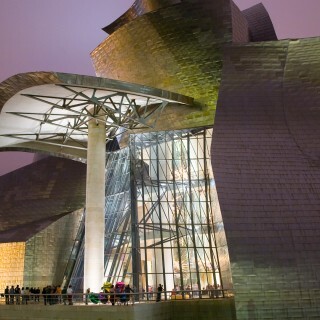 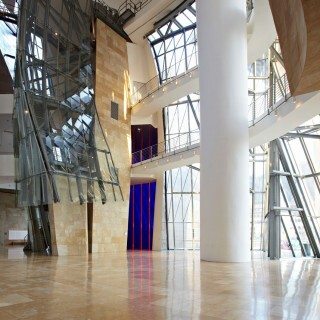 With 24,000 sqm, of which 11,000 are dedicated to exhibition space, the Museum represents an architectural landmark of audacious configuration and innovating design, providing a seductive backdrop for the art exhibited in it. 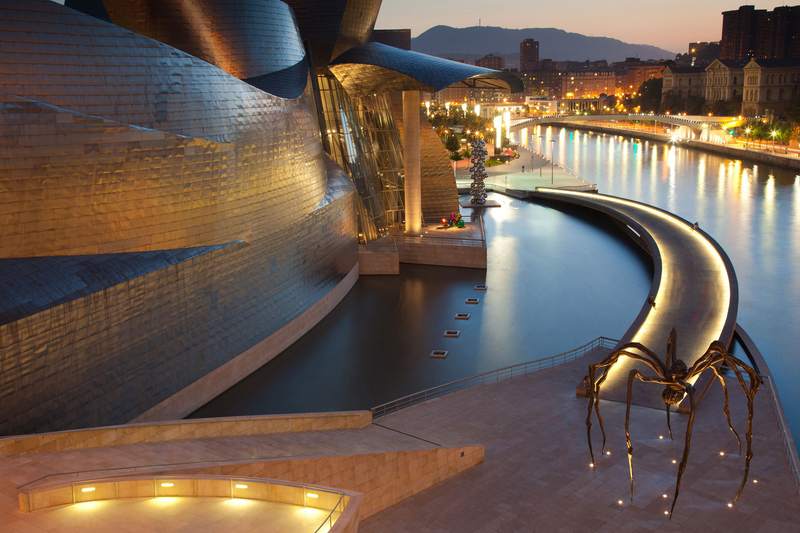 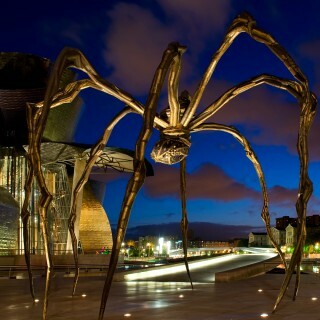 Altogether, the Museum is a spectacular sculpture-like structure, perfectly integrated within Bilbao’s urban pattern and its surrounding area. 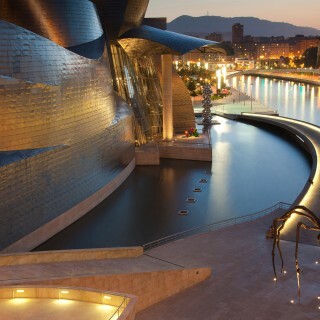 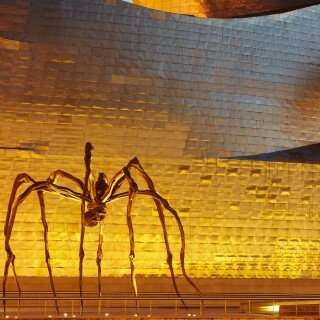 The Guggenheim Museum Bilbao’s art program is based on the dynamic presentation of the works in the Permanent Collection of the museums in the international Guggenheim constellation, complemented by high quality temporary exhibitions that offer audiences a broad and most varied overview of modern and contemporary art. 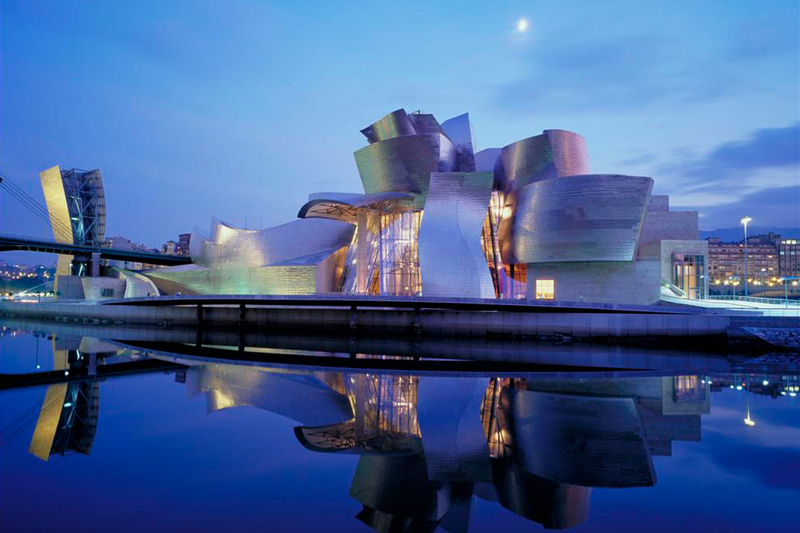 The Museum is also developing its own collection, which starts in the second half of the 20th century and currently boasts works by some of the most relevant artists of our time.